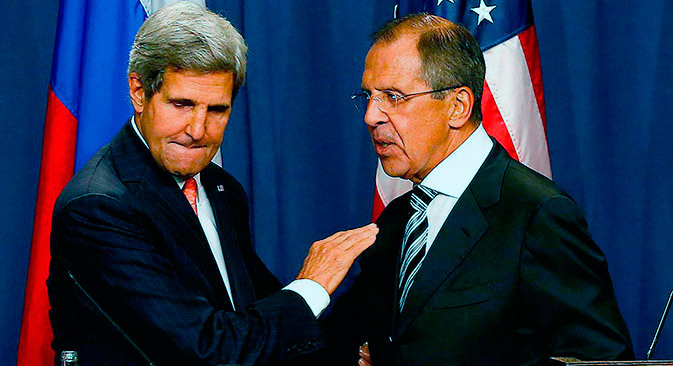 1) Russia’s plan on Syria arms: a game-changer for President Obama? The handover of Syria’s chemical weapons to international control, proposed by Moscow this week, made President Obama to look for a new compromise on the conflict. Facing an uphill battle in Congress to win authorization for a military strike with the latest polls showing the majority of the lawmakers still oppose the use of force Barack Obama has decided to take a break and called off Senate voting on Syria, which was initially slated for this Wednesday, to consider Russia’s initiative. President Putin’s meeting with his Iranian counterpart Hassan Rowhani, held on the sidelines of Shanghai cooperation organization summit in Bishkek was their first personal encounter after the recent change of leadership in Tehran. The much-awaited meeting, which was initially expected to take place in Iran shorty after President Rowhani Aug.3 inauguration is expected to reinforce Moscow-Tehran partnership by removing the existing hurdles and paving the way for more cooperation in sensitive military-technical and nuclear fields. The elections of Moscow mayor, held last Sunday, gave unexpectedly big numbers to Kremlin’s hardline critic Alexei Navalny. While Acting Mayor of Moscow Sergey Sobyanin has won the election in the Russian capital with 51.37 percent of the ballot, Alexei Navalny came second with 27.24 percent – the development, not expected by the political pundits. The mayoral election made a 37-year-old blogger-turned-politician man in the news. The international media was asking the same question “Who is Mr.Navalny?” to unwrap the riddle of a person, posing as a face of the Kremlin opposition.